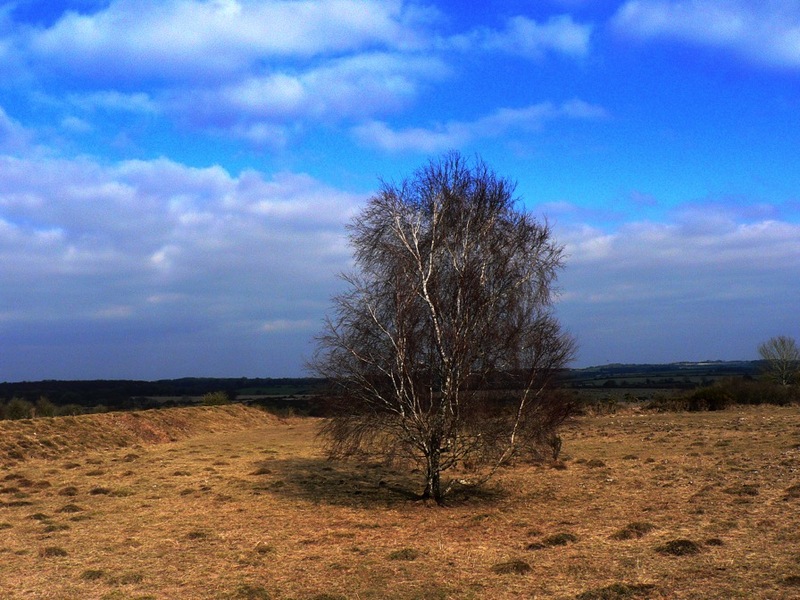 A silver birch stands alone at the centre of a square patch of rough ground. Its prominence would normally single it out as an excellent meeting point, were it not for the fact that it grows on a Second World War firing range in Hampshire, close to the spot where the county boundaries of Wiltshire, Hampshire and Dorset all meet on a National Nature Reserve. It might seem as though it’s verifiably bang slap in the middle of nowhere, but I’ve wandered around lonelier shopping centres and there’s a lot more going on here than meets the eye. The birch is a thousand yards or so from Bokerley Junction, a knee joint bend on the A354 halfway between Salisbury and Blandford at Martin Down. Despite the implicit suggestion of more than one road, you’ll only find the A354 in your motoring atlas and actually driving along the A354 will get you no further, except that you might notice its pot-holed, oxbow lay-by left behind after improvements to the original road were made. 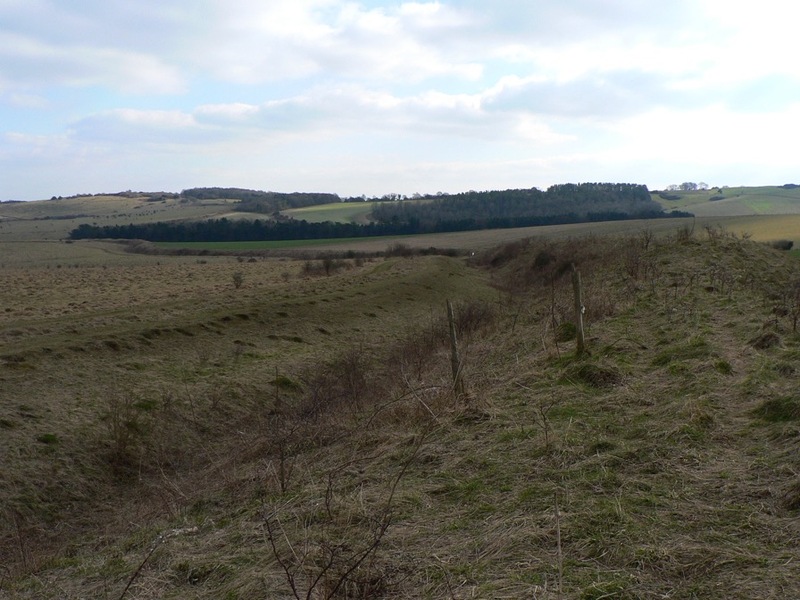 But there is another road at Bokerley, the Roman Ackling Dyke which ran on 50 feet wide, 6 feet high overstated aggers to dominate the landscape between Badbury Rings, near modern Wimborne, and Salisbury’s forsaken precursor, Old Sarum. The modern road and Ackling Dyke all come together to meet another nominal dyke at Bokerley – a defensive, linear earthwork, over three miles long and originally from the Bronze or Early Iron Age but then augmented in the 4th century by Romano British tribes to keep out the Saxons. The Romans showed their contempt for the local population by driving Ackling Dyke straight through Bokerley Dyke, then their descendants sealed off the road and beefed up Bokerley, a strategy which kept the Saxons out of Dorset for 200 years – a final martial use for a political boundary which still marks the border between Dorset and Hampshire. Just to the south of this boundary lies the far northern end of the Dorset Cursus, a 5,300 year old earthwork over 6 miles in length, the exact purpose of which is something of a mystery. 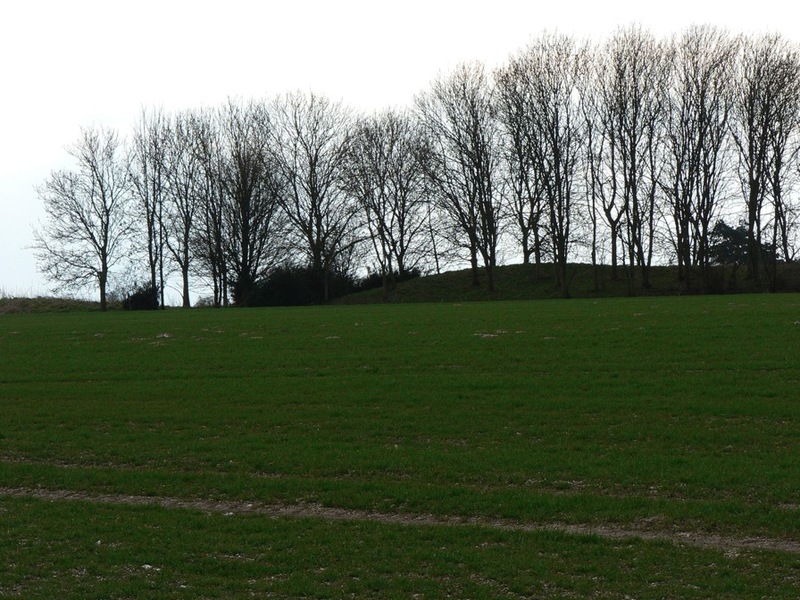 It starts (or ends) just to the right of this exceptionally long longbarrow (below), but most of its outline is only discernible from crop-marks as it has been ploughed out for the majority of its length. Further south, Ackling Dyke parts company with the A354 again and strides out confidently across Bottlebush Down and beyond, taking extra care to defile the cursus on its way.